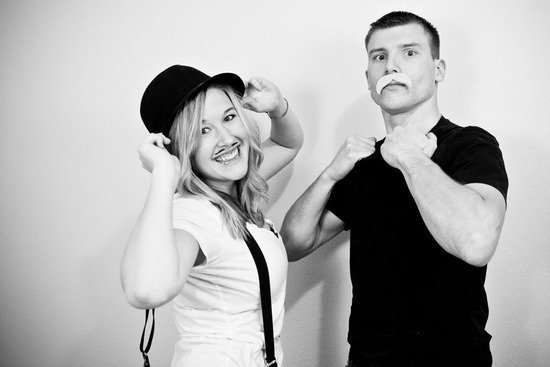 late night and mustache shoot. I announced that i was going to be changing a lot of things about the blog hopefully in a couple months! This mostly is going to include the website, completely changed! To do this, i need tons of new photos of my husband, and myself. This is just one of the shoots i've been wanting to try. Been feeling so unmotivated lately but just decided to go ahead and just do it! After work, late night shoot. 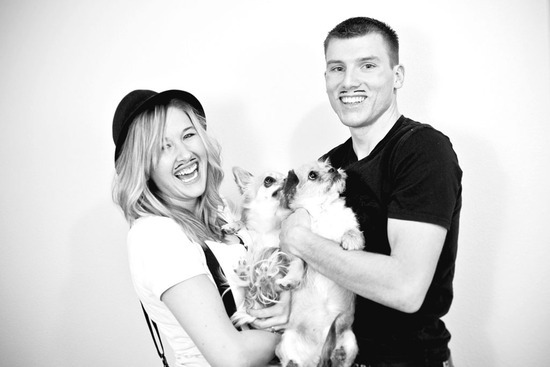 OH- i realize the mustache isn't always appealing on me, even Brandon didn't want to kiss me after he drew it on. I got these ideas online, just really simple, wanted all black and white. We haven't done a shoot in a while and it was about time! 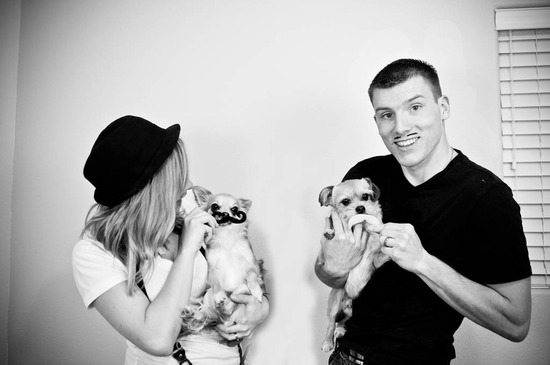 i have more photos of the puppies from last night, but they weren't loving getting a mustache unfortunately. pssst... click on the images to see them bigger! you better believe, i edited these, and still now while writing this blog, i still have my mustache on... more authentic that way. ha. Also i forgot about my suspenders until a few weeks ago, i wore them out on a day date, and also wore Brandon's hat that he never wears. It was basically a photo shoot for lonely clothes. I consider these photo shoots mini dates, even if it takes 30 minutes and we haven't left the house! It's still another adventure, good quality time together, and let's face it... i'm a photographer so these shoots have to happen. Plus, it's more photos to have for the house! BONUS. We tried puzzles, but started with the largest amount of pieces... gross, it's still sitting on our table, 2/3 complete. Do you have any mini dates you enjoy? Anything that might not even take long but it's amazing quality time together? Time for YOU to guess what we used to draw mustaches on each other.. cause there was NO WAY i was letting him sharpie it on.